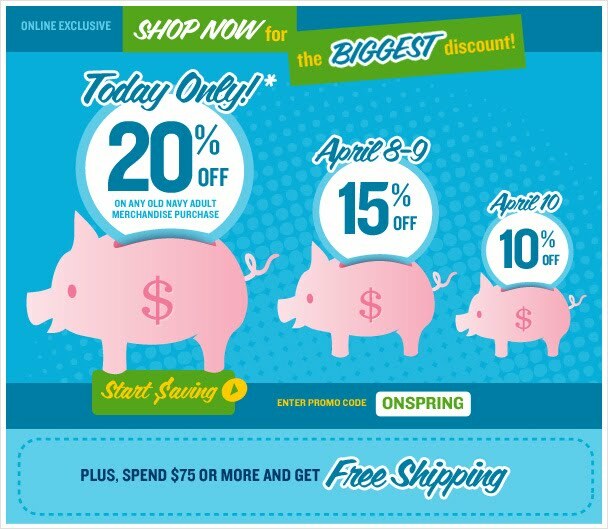 Take advantage of the Old Navy Spring Sale! Today Only you get 20% off any adult purchase online. 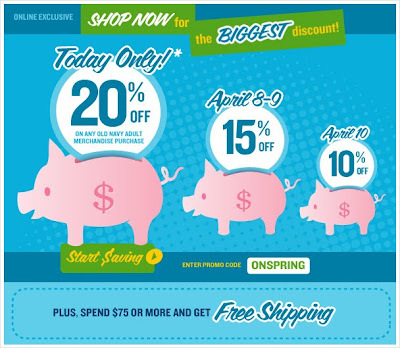 Use coupon code ONSPRING and Happy Shopping! Following from MBC. www.savingcreatively.com Great blog!